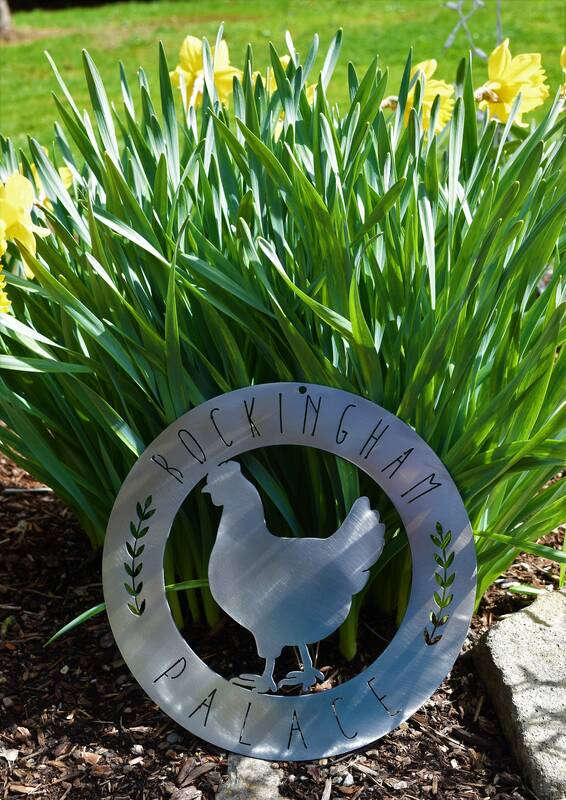 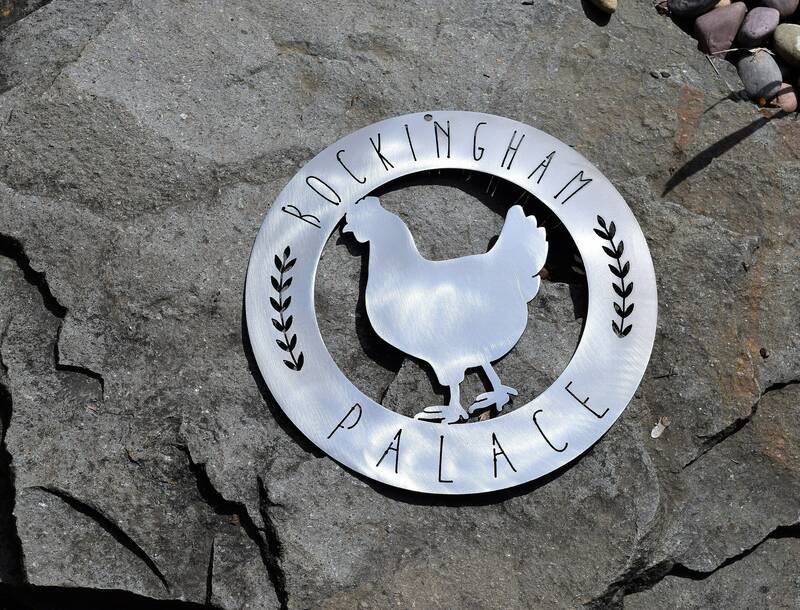 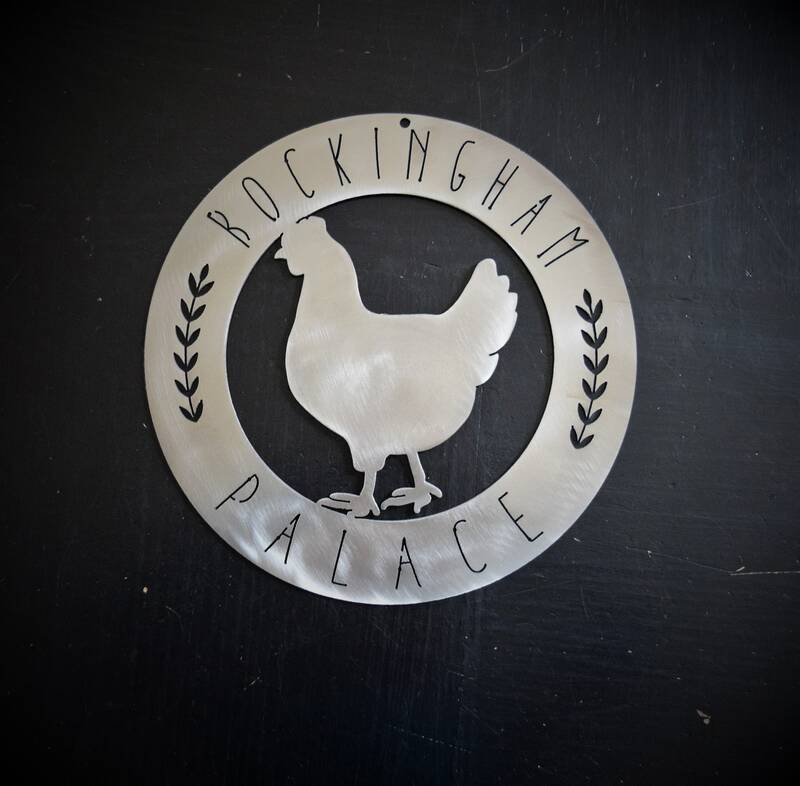 • This is a custom "Bockingham Palace" sign. 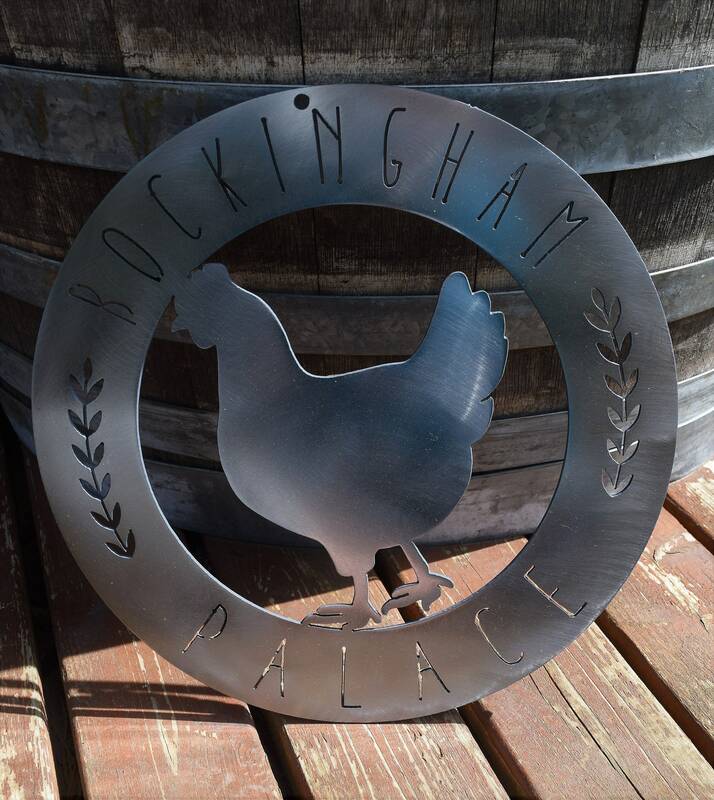 It has a precut hole for easy installation and made from steel. 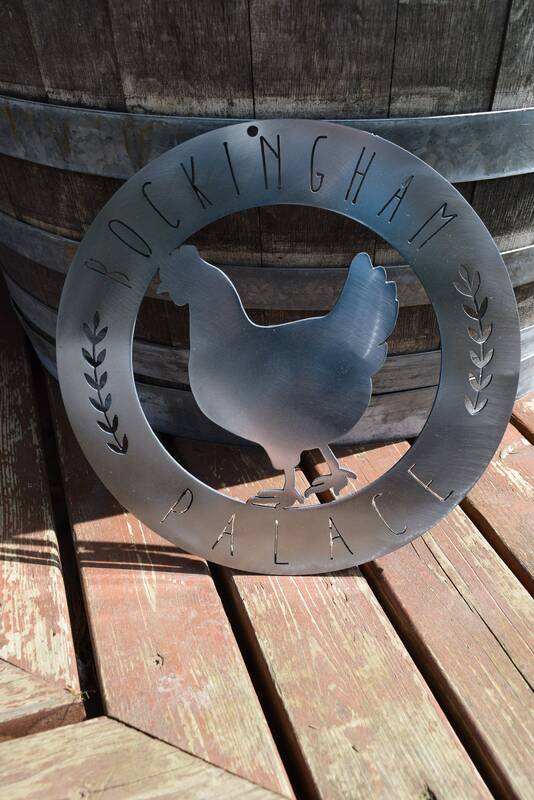 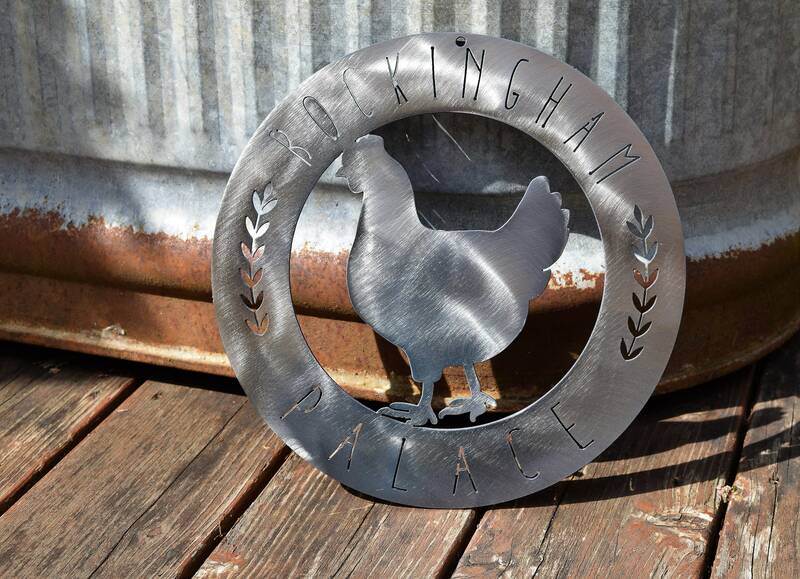 This sign will make a great addition to any front porch, kitchen, chicken coop or barn. 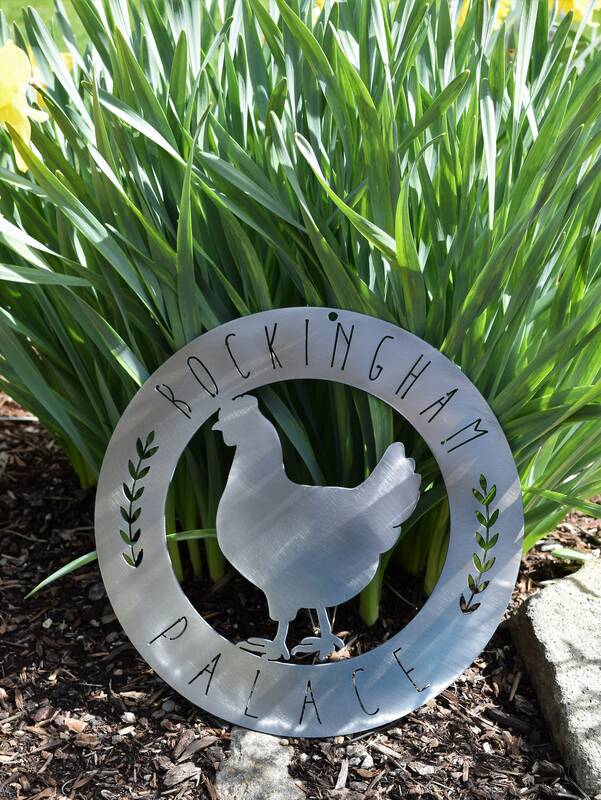 • If you choose the "Polished Steel" variation, you will be getting nicely sanded/polished signs (no coating) This is the perfect variation for you to apply your own finish/paint. 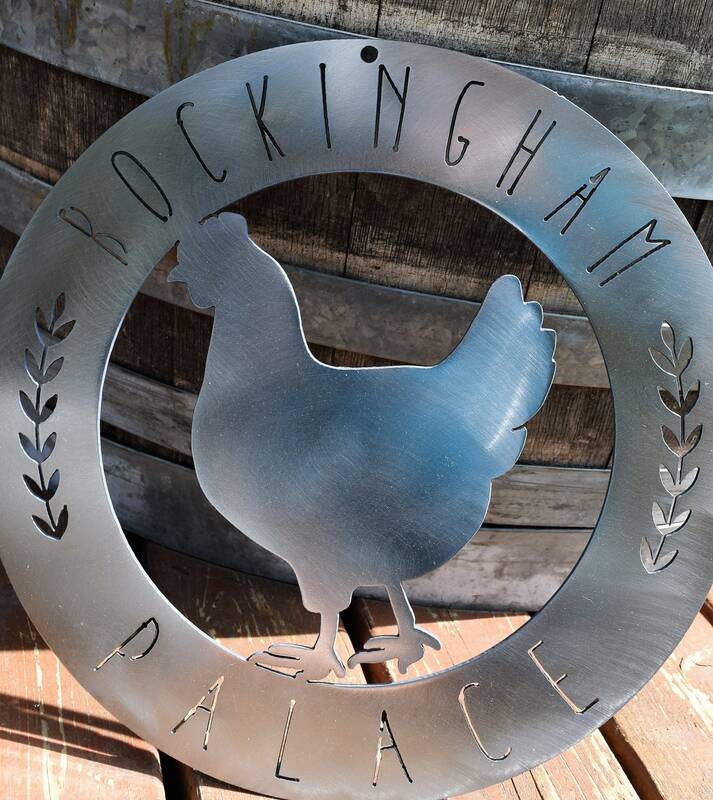 If no coating is applied it will rust and show fingerprints over time.